The new C-TECH PROTECT series of universal cases for tablets changes the name of the game. Let yourself be enchanted by the stylish design and enjoy this case as an accessory for your everyday life. The case C-TECH PROTECT ensures reliable protection of your device and also gives it a modern look that does not interfere with its functionality. One of its main technological advantages is the FlexGrip system. It consists of four plastic clamps that securely fix all the corners of the tablet. 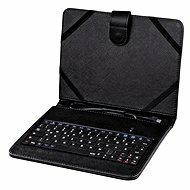 Your tablet will no longer drop out of your case, which is a relatively common occurrence with other cases by competitors. The C-TECH PROTECT case is made of artificial leather of the highest quality. It has a smooth surface and it is easy to handle and open. It is also very easy to remove any dirt from such a surface, so your case will always be clean and representative. Another very useful feature for all users is the possibility of using the case as a stand - it offers two basic positions for everyone to choose from. Due to this you can easily and comfortably watch your favourite movies or read. A great feature of the affordable case C-TECH PROTECT is an integrated keyboard with a microUSB connector. This keyboard is compatible with all OTG-enabled devices - which are most of the devices on the market nowadays. 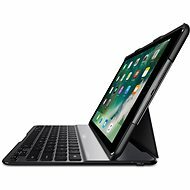 This case thus completely eliminates one of the few disadvantages of compact tablets - worse use for work, writing emails and longer texts. Do not limit yourself and get C-TECH PROTECT to maximise your productivity! Smaller (7" to 8") Done! Integrated holder, Anti-scratch screen protector, Integrated keyboard Done! For shipping to other EU countries visit this page C-TECH PROTECT NUTKC-01 Green. Für Versand nach Deutschland, besuchen Sie bitte C-TECH PROTECT NUTKC-01, grün. Chcete doručit zboží do Česka? Prohlédněte si C-TECH PROTECT NUTKC-01 zelené. Chcete doručiť tovar na Slovensko? Prezrite si C-TECH PROTECT NUTKC-01 zelená. Für Versand nach Österreich, besuchen Sie bitte C-TECH PROTECT NUTKC-01, grün. Magyarországra történő kiszállításért tekintse meg ezt a termékoldalt: C-TECH PROTECT NUTKC-01 zöld.